There’s a lot to be said for being outside on our full-service warm, cozy patio. Sit back and relax. Take in the local sights while sipping on a well deserved beverage or smoking a fine cigar with your after dinner drink. 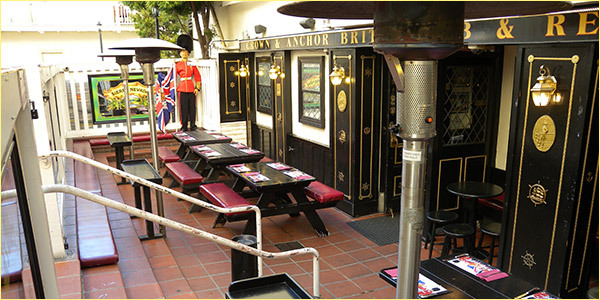 Imagine you are sitting in your favorite Pub by The River Thames in good old London town. When it’s foggy it may almost seem like the real thing! But don’t worry, our attentive staff will light a lantern, we’ll make sure you don’t get lost or forgotten.